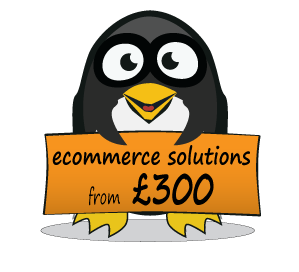 If you want to take the plunge into selling online, we can build you a shopping website starting from £300. But why should you invest in Website Development through Empire New Media Ltd’s Ecommerce website design? The internet has become the largest high street in the world and a successful business needs to make its products available online on Social Media platforms like Facebook or search engines like Google to view or sell . Online business or E-commerce is simply your business represented on the internet. This can be done on various platforms such as Opencart, Cubecart, Vituemart, Magento, oScommerce and other shopping cart solutions. With the choice being so varied on which features can be added to a website you will find yourself asking, what is the best solution for your business? Every website design company has an online shopping solution that they specialise in and although we are able to work with any Ecommerce website Empire Media are Opencart Specialist. We find Opencart to be a very Cheap Ecommerce Solution to start an online business and the simplicity of the CMS (content management system) means that with only a short period of training you can be set up and trading in no time. This is why we class it as one of the best Ecommerce websites cms’s. OpenCart is an open source PHP-based shopping cart solution. An easy to use e-commerce solution for Internet merchants with the ability to create their own online business and participate in e-commerce at a minimal cost. OpenCart CMS is designed feature rich which is easy to use, search engine friendly and a visually appealing interface. Empire Media have launched a number of new businesses that have grown successfully using this platform. Magento offers flexible, scalable eCommerce solutions designed to help businesses grow and succeed online. The Magento platform is trusted by more than 125,000 businesses, including some of the world’s leading brands. Our customers choose Magento because our cost-effective solutions are built on open source technology which enables businesses of all sizes to control and customize the look and feel, content, and functionality of their own online stores. Magento is owned by eBay Inc., a global leader in commerce technology. osCommerce is an online shop e-commerce solution that offers a wide range of out-of-the-box features that allows online stores to be set-up fairly quickly with ease, and is available for free as an Open Source based solution. osCommerce Online Merchant is a complete self-hosted online store solution that contains both a catalogue front-end and an administration tool back end which can be easily installed and configured through a web-based installation procedure.